Towards the end of last year, Zeiss relaunched what the company now calls the Classic range of DSLR lenses for Canon and Nikon as the new Milvus line, in some cases completely redesigning the models and in other cases just changing the shell. This lens is a re-shelled version of the Makro Planar T* 2/100, however Zeiss claim that, with a new and enhanced T* coating, the lens has improved imaging characteristics. Sony has started to round out the E-mount lens range for their innovative full-frame A7 bodies and APS-C format cameras, and this new 1:1 stabilized macro lens looks to be a promising addition. Read on to find out how well this new model performs. Tamron SP 90mm F2.8 Di MACRO 1:1 VC USD Canon review – An alternative macro lens choice? Launched in September 2012, the Tamron SP90mm f/2.8 Di Macro II VC USD lens aims to continue in the same vein as previous Tamron macro lenses by offering very high image quality in a well-priced package that rivals the offerings from the major camera manufacturers. 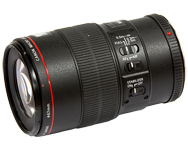 A true macro lens, this model offers full 1:1 lifesize reproduction and includes Tamron’s Vibration Compensation (VC) mechanism to help achieve images free of camera shake even at longer shutter speeds. Also present is their USD, or Ultrasonic Silent Drive, AF motor for fast, quiet AF operation. Sigma 105mm F2.8 EX DG OS HSM review: A serious 100mm macro competitor? We have just tested both the Canon and Nikon versions of the Sigma 105mm F2.8 EX DG OS HSM lens, announced on February 8, 2011. We have just tested the Tamron SP AF 90mm F/2.8 Di MACRO on both Canon and Nikon mounts, giving us the opportunity to review the performance of all the lenses in this category (though we’re waiting for the results of the latest Sigma 105mm f 2.8 EX DG OS, which should come our way soon!). With it true 1:1 macro reproduction and its floating auto-focus system for high optical quality on its very broad range of focus, this Sigma macro lens looks like ideal for a wide variety of photographers, from nature to sport and portraits. Let’s review its image quality.